When you initially drafted your business plan, you likely wrote out your mission and vision statements as one of the first steps. This is a great starting place for articulating your purpose and values, but to truly create an outstanding culture for your firm, you also need to articulate your core values—and then continuously support those values with the actions you take as a business owner. Part of the process of building culture involves clearly stating your firm’s values, and then instating programs and policies that directly uphold these values. You need to show your team how you support those values in your firm every day. Culture can be hard to observe and difficult to measure quantitatively, but there are concrete steps you can take as a business owner that will help create a positive culture that reflects your values. This is the place to start when thinking about the culture you want to create. Well thought out and well stated core values provide the framework for the kind of business you create. These are not intended to be a description of universal business practices. Rather, these values should reflect deeply held beliefs that are unique to you as a leader and should indicate what that means for your business. The first step in this process should be a brainstorming session to gather ideas. If you’re solo in your firm, you can do this alone, but I recommend involving at least one colleague or someone close to you who knows the details of your business—not just the details of what you do, but why you do it. This could be a business partner, mentor, or your spouse or partner. Often, someone close to you may be able to recount examples where your core values affected the way you behaved or interpreted a situation. For example, your spouse might point out that you spend a lot of your free time volunteering in the community, and you may want to emphasize giving back to the community in your values. Or a colleague might notice you tend to hire employees who focus mostly on what they can do for others rather than being highly competitive, in which case you may want to emphasize humility and teamwork in your core values. In this process, you should also consider taking a look at the core values stated by other successful companies, both in and outside of the financial planning industry. Some of these values may resonate with you, but also pay close attention to those values that rub you the wrong way. Feel free to write down the values in whatever way feels most natural to you. If you tend to think in very concise terms, write down single words that come to mind. If values come to you as more detailed, defined concepts, feel free to be as descriptive as you like during this step, knowing that you can refine your values later on in the process. I recommend you write down at least 30 values, ideas, and concepts so you can get to the heart of what’s driving you and your business. This is an opportunity for honest self-reflection, with no self-censorship. My employees should feel safe being honest with me if they make a mistake. I want to be transparent with my team about what’s happening in the business. I expect my employees to be accountable for their actions. Integrity should be the core of the interactions between myself and my team and should also drive client interactions. I expect my employees to be truthful to me in every situation, and they can expect the same from me as a business owner. My clients can expect honesty from me in all situations, even when I need to have difficult conversations with them. This list reveals a theme of honest and integrity, which indicates you’ll want your values to convey honesty and integrity around both employee interactions and client service. Look for other themes in the list you've created and group together values that reflect each theme you've identified in your working document. Now it’s time consolidate your list and identify which values are absolutely crucial to you, and which are less essential. During the process of tossing out any values that are more “nice to have” than “must-have” and combining values that overlap conceptually, you should aim for arriving at a list of about five core values. I’d recommend at least three and no more than seven. Fewer than that means you haven't given yourself the space to properly articulate what’s important to you; more than seven, and you’re not truly getting to the core of what you stand for in your business. Now it’s time to decide on the precise words you’re going to use to express your organization's fundamental beliefs to the world. This step can feel intimidating. You may choose to present this as a bulleted list of the main words and concepts that illustrate your values with a brief explanation of each. In any case, be intentional about your wording, and don’t be afraid to edit yourself quite a bit. While your brainstorming session was a case of “more is more,” now it’s time to hack away at any words or concepts that don’t cut right to the heart of what drives you. Values stated in a clear and concise way are more powerful than lengthy descriptions. Remember that this is not a comprehensive list of hiring criteria, and it’s not meant to cover every facet about your business. We always act with the utmost integrity in all our business endeavors. We have a fun, relaxed, T-shirt kind of office, and we are professional. Everything you do in XYPN’s name should be ok to put on the front page of a newspaper! It is up to all of us to maintain our individual integrity as well as the integrity of the XYPN brand. Our diverse strengths and identities cultivate broad innovation. Be creative; try new things. Beg forgiveness rather than ask permission. Have a plan to measure success and failure, and be ready to own both. It’s ok to make mistakes, just learn from them! Our company is built around helping financial planners successfully to start, run, and grow their firms. Everything you do at work contributes to that mission. The range of available opportunities is unlimited, with room for everyone to succeed. We succeed when we strive for and achieve our goals and mission as a team, not at the competitive expense of others. When we hit our marks, it’s as a team – and more importantly, when we fail, it’s also as a team. Take care of and invest in yourself physically, mentally, and emotionally. You are at your best, and help others best, when you’ve built a solid foundation for yourself. We all bring unique identities, experiences, and perspectives that contribute to a rich culture. Embrace your differences and your strengths to grow and succeed, and celebrate and cherish each other’s uniqueness as well! All of your core values should be demonstrated continuously in your business in tangible ways—in your day-to-day operations, in how you provide client service, by the way you treat your employees, and by the expectations you have for your staff. As a business owner, you have the power to uphold your core values using specific policies and procedures. To illustrate this with an example, XYPN offers a tuition reimbursement program for employees who are seeking higher level education or specialized certifications. This benefit allows us to be innovative in our respective fields and help move the company forward with new information and improved skill sets. To support the “Be Well Being You” value, XYPN also offers an open vacation policy, a sabbatical program, and generous family leave. Each week, we also recognize team members who have been observed demonstrating one of our core values. These initiatives keep the core values at the forefront of our minds and provide positive encouragement to uphold our values in how we serve members every day. If you’re hiring employees, tailoring some of your interview questions around your stated values can be a great way to ensure you’re upholding these values in your company culture. Once you’ve decided what your core values are, bring them into the interview process, and consider how candidates would add to your culture. For example, if accountability is a core value, ask candidates very specifically how they demonstrate accountability in their client work. You might also consider asking candidates what core values they would establish if they were running their own firm. 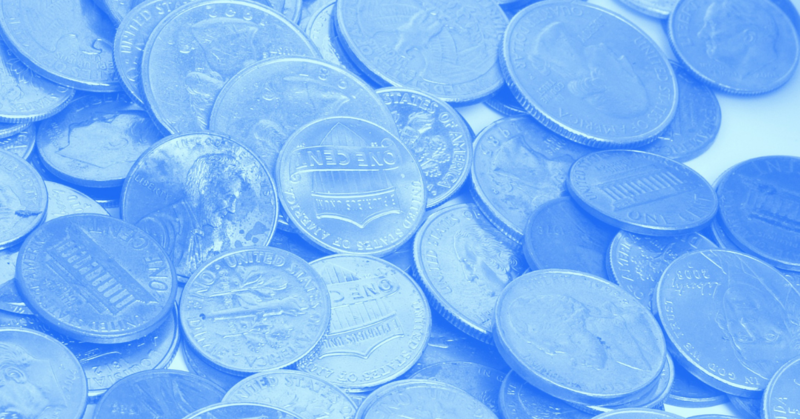 This provides an open-ended opportunity to evaluate whether a potential employee’s values align with yours. Again, this is not necessarily about right or wrong, it’s about compatibility. Think of it a little like dating; there are a lot of great people out there who just may not be exactly right for you. When we’re considering a candidate for a position at XYPN, we take the candidate out for a “peer lunch,” which is an opportunity to talk candidly about our company culture and for them to ask questions outside of a formal interview. We’ve found this process helps ensure a good culture fit on both sides. We’ve also chosen to make our employee handbook public on our website. Anyone who’s thinking about coming on board with us can read about our mission, vision, values, and culture. Read more about how you and your team can create an amazing culture in your firm. Another critical way you can differentiate your values and culture is in how you interact with clients. Think beyond the basic steps any business or financial planning firm would want to take in this area. When you consider your ideal clients, what would make them see you and your firm not as “good enough” but as outstanding—a service they cannot imagine living without? Sound familiar? It should, because this process mirrors the way in which you initially selected your core values; by looking beyond platitudes and generalities and getting to the heart of what drives and differentiates your firm. When you consider your chosen niche, you should see that the profile of your target client, your core values and culture, and the services you provide all align. To illustrate this with an example, let’s say you have an education background and your target market is university professors. You focus heavily on client education because this aspect of your business aligns with your—and your clients’—core values. You enjoy writing long format newsletters for clients (and you know your clients appreciate them), and maybe you host regular educational sessions for clients and prospects. The key to success here is to think carefully about your values as a financial planner and as a business owner, to leverage these values in selecting a niche, and align your client service model with your values. 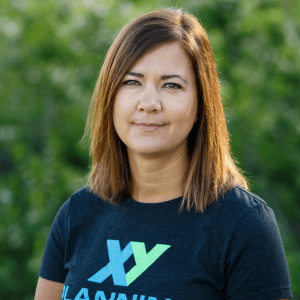 Kate Ross has spent the last ten years of her career developing educational materials for financial professionals and brings a passion for instructional design and curriculum development to the XYPN team. In her free time, Kate can be found front row at a concert, camping in the woods, floating a river, or hiking in the mountains near her home in Montana. Making the Transition to Manager: What Would Arlene Say? Start Earning More: What Would Arlene Say?